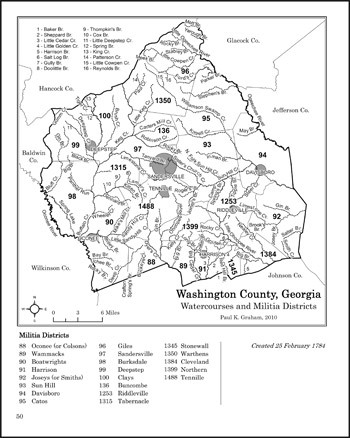 Researchers studying the people and land of east Georgia should always have a ready map reference to watercourses and militia districts. 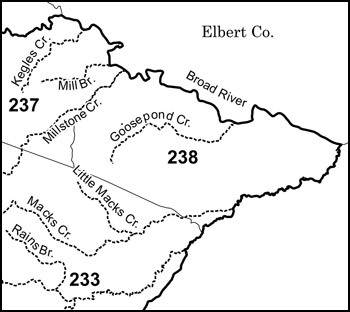 Those two features are used to identify the location of land and residences, where streams often serve as property boundaries and tax and census records are arranged by militia district. 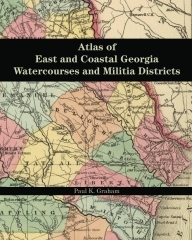 This atlas is a functional research aid, with fifty individual county maps encompassing the entire region granted under the headright land system. Reviewed in the Atlanta Journal-Constitution.